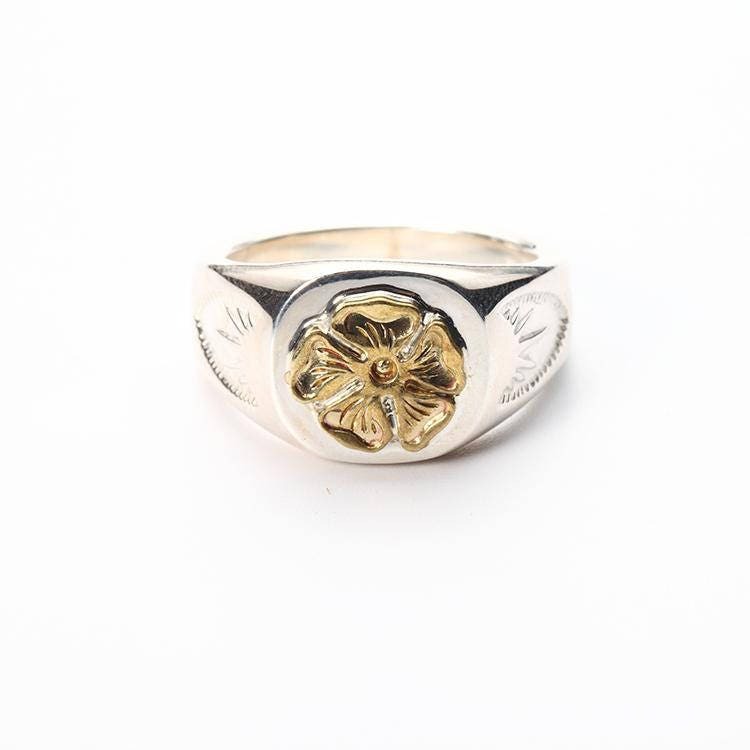 The floral silver ring is crafted in a classic signet design and decorated with subtle patterns inspired by Native American art. 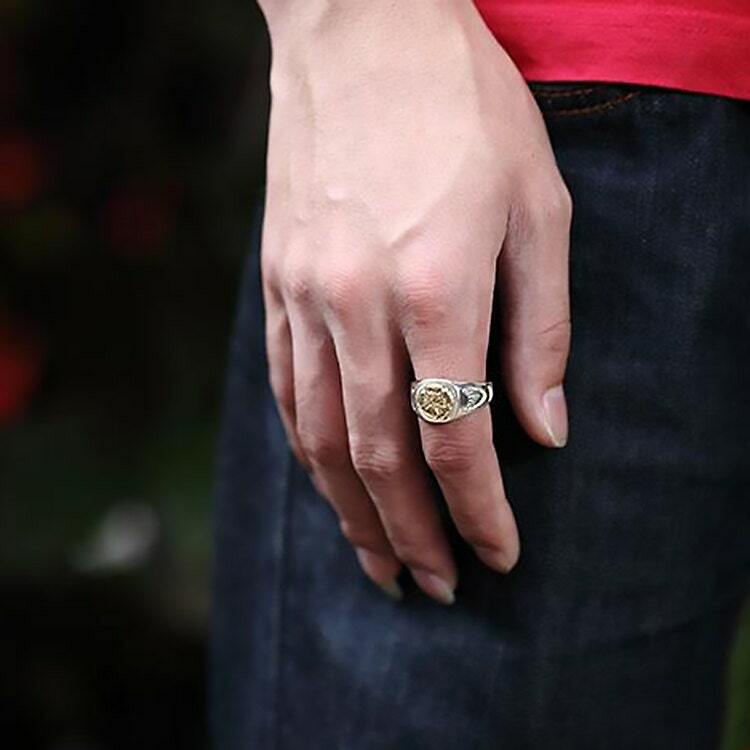 A single rose charm sits on the flat ring face - the flower charm is available in two different choices: 18K gold and brass. 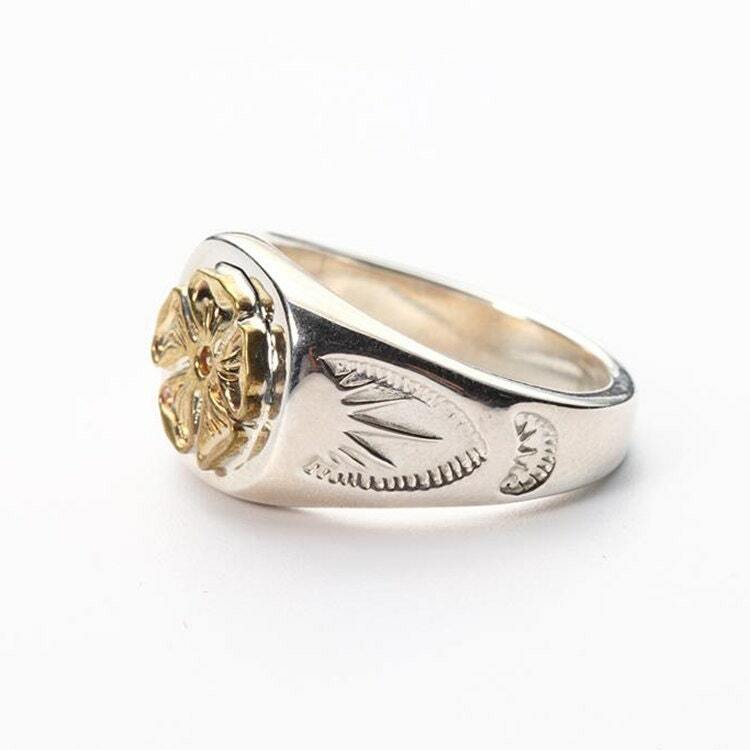 The gold rose top is flanked by an engraved rising sun pattern on both sides of the ring. 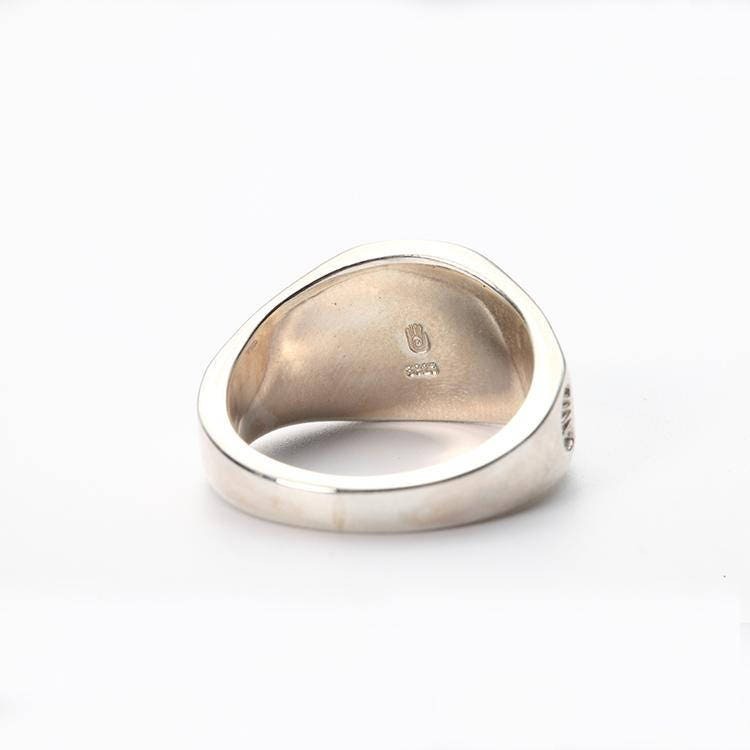 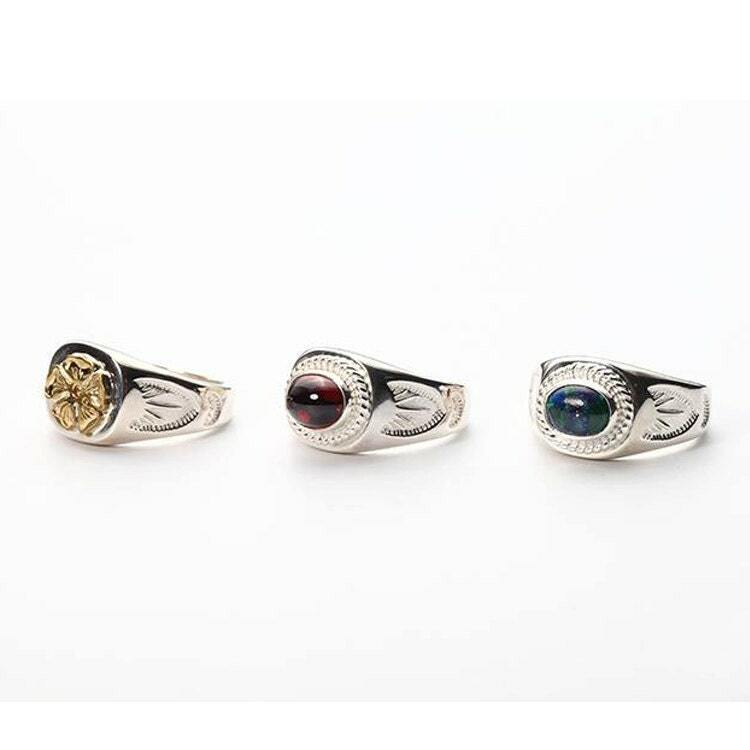 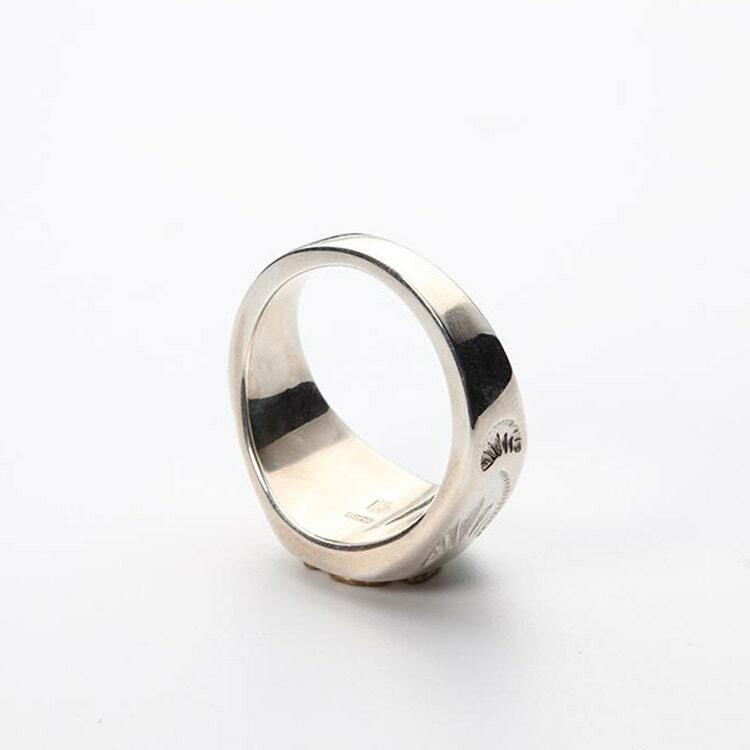 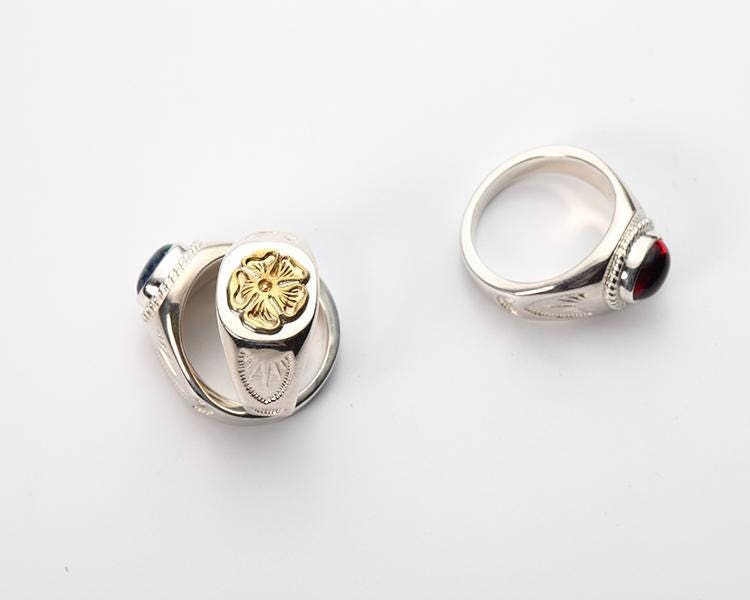 The ring is specially designed as an index finger ring - but you can choose to wear it on any other finger as well. 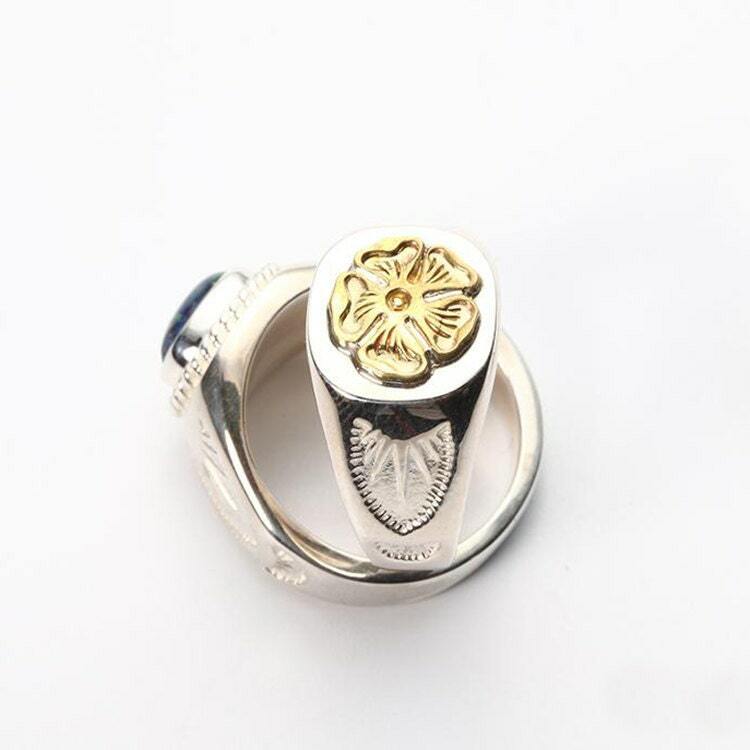 Beautiful piece, even though it’s a men’s ring I still wear it and it’s awesome!